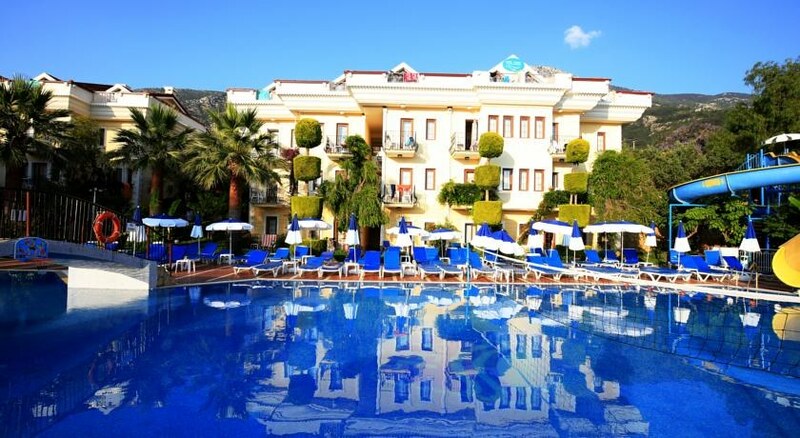 The Yel Holiday Resort sits on a hillside location in the town of Fethiye affording the resort outstanding views across the surrounding area and the picturesque village itself. Only 5km from the famous Oludeniz beach and 6km to the bustling resort centre of Fethiye making day trips to laze around on the beach or enjoy the great shopping and snap up a bargain, a must do. The Yel offers guests a great chance to kick back and relax enjoy the facilities and amenities in a warm and friendly environment or roam off and explore the surrounding area, whatever your choice the Yel Holiday resort is just waiting to turn your holiday dreams into great memories. Local tips: for a fantastic bargain and souvenirs to remember your great holiday visit the market in Fethiye – open every Tuesday – it is massive and sells everything from fresh fruit to leather goods. The market is a great opportunity to see local life first hand and experience the real Turkey! Food, drink and entertainment: the hotel features restaurant with indoor and outdoor seating, serving meals international buffet style, drinks are offered throughout the day from the bar adjacent to the pool area. Sports, games and activities: large outdoor swimming pool with waterslide (working certain hours), spacious sun terrace with ample sun loungers and parasols, volleyball, basketball, pool table and table tennis. Further sporting amenities/facilities are available for hire/rental nearby including water sports, sailing, surfing, snorkelling and horse riding. For the kids: kids outdoor swimming pool, playground. 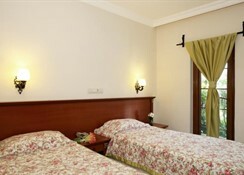 Additional; 24 hour reception, free internet access, safety deposit box (reception, ), housekeeping, maid service. Please note some facilities and services will incur extra charges. The Yel Holiday Resort features well appointed comfortably decorated guest accommodation fully equipped with bathrooms with shower, air conditioning, hairdryer, mini fridge, satellite tv, direct dial telephone. Extra bedding, linen, towels and infant cots, available on request. All guest rooms enjoy a furnished balcony/terrace offering views of the surrounding area. Such a great hotel. Fabulous location and views. Large clean room. Amazing plentiful food. Lovely pool and great staff.